The Hairdressers Unlocking Hope Award is given this year to Winn Claybaugh, dean and co-founder of Paul Mitchell Schools, motivational speaker, and author of Be Nice Or Else, and those individuals in the professional beauty industry who serve as exemplary models of philanthropy, giving back to their communities and to the world with generosity and spirit. This award was created in 2007, when behindthechair.com founder Mary Rector Gable joined forces with the legendary Vidal Sassoon and launched an industry-wide campaign to build homes in the wake of the devastation left by Hurricane Katrina. The ensuing campaign, Hairdressers Unlocking Hope, rallied the entire industry and resulted in 22 new homes for displaced New Orleans residents after raising more than $2 million. Winn will be the fourth recipient of the honor, joining celebrity stylist Ken Paves, stylist and international hair care manufacturer John Frieda, and Paul Mitchell School graduate Michelle Kelly. Madison Avenue calls this "under cover marketing" because the awards are tied to a "public worthy social cause" which in itself is good and away to market and promote a sponsors business interest every year. With so many "awards" presented today I for one feel it's made many less import. 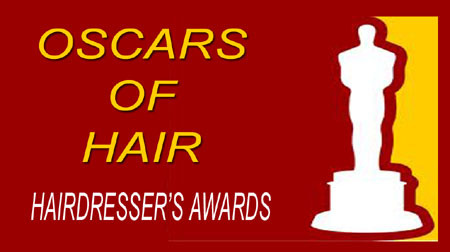 The English have their Hairdresser of the Year award based on a "hair do' contest" and we now have the Hair Stylist Choice "a popularity contest". However, there's one award that I feel is worthy and merits recognition. 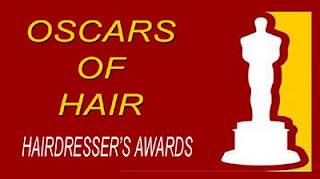 The Hairdresser's Hall Of Fame Award is presented to hairdresser's that have made a significant contribution over many years to the good of our Nobel Profession and Beauty Culture....The Oscar of Hair. Drawing inspiration from the hair style trends of our favorite stars and celebrities has become a national past time. One such star whose hair style has been emulated by teenaged boys around the globe is Canadian heartthrob Justin Bieber. Justin recently turned in his boyish Beatle-like hair style "the Bieber Bob” for a tousled rock style look and a totally new image. His playful spiky hair and new rock star persona is sure to be irresistible to girls attracted to the wild side and quite the catch for those that go for the sensitive, creative types. TO GET THE LOOK: If you’re looking for a cool new hair style, take a styling lesson from Justin Bieber. Justin knows just what it takes to standout from the crowd and stop girls dead in their tracks. 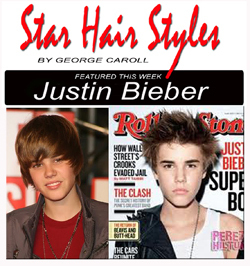 If you’re up for a rock star hair like Justin, let’s take it one step at a time; starting with a style cut and shaping. LET’S SHAPE IT: To get the look, start with a spiky contoured (layered) silhouette with tapered hair stylishly over the ears and collar with a few “love locks” across the forehead (eyebrow length). With a few adjustments (tweaks) as it grows out you can easily find the ideal length and shape for your look. LET’S STYLE IT: To jump start the look add a dab of shaping gel or mouse through damp hair and finger comb in place to dry au natural, or give it a quick once over with a blow dryer for a full tousled look. To turn on the rock star look, when dry, finger comb a dab of extra hold shaping gel or styling spray wax through the top and your good to go. NOW LET’S ADD ACCESSORIES: What’s a rock star hair style without accessories? To get the look include black or white T shirt, tight black jeans with black leather motor cycle jacket ala Bill Idol and you’ve got the look. THIS ROCK STAR STYLE is a babe magnet and comes with bell and whistles to stop girls dead in their tracks. The tousled spiky contoured silhouette with a few love locks across the forehead adds a playful look and lets everyone know you’re a stylish dude. Just wash and go or turn on the rock star look with a quick blow dryer and finger comb a dab of styling gel or wax after for a spiky effect is all it takes. How easy is that? Heads will turn when you show up with a totally new hair style and rock solid accessories. So be prepared to take email addresses, cell phone numbers and unexpected text messages with when you show up with Justin Bieber new rock star look. At first glance the name (SHORTCUTS) might be miss-leading, this is not a “HOW-TO” short hair styling book. 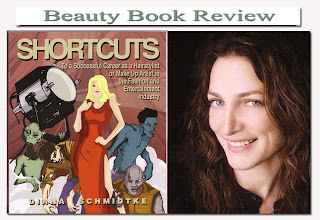 If you’ve dreamed of working in the “fashion or entertainment industry” Diana Schmidtke’s book SHORTCUTS takes you step by step through the process to one of the most exciting careers in the world of beauty. As a freelance hair or makeup artist you have the opportunity to work on fashion runway shows, commercials, music videos, advertising campaigns, movie press tours, concert tours, television shows, fashion magazines cover shoots and motion picture films and travel the world. Diana shares the industry secrets that have helped made her one of the busiest hair & makeup artist in the entertainment industry. Her biography reads like a fairy tale and a dream come true. How a young hairdresser from the suburbs of Chicago moved to Hollywood and became one of the leading entertainment industry’s freelance hair & makeup artists. Her big break through came when she was hired as an assistant to leading motion picture hair stylist. Diana Schmibtke explains how to connect with both fashion and entertainment industries and the importance of being in the right cities. For example to work in the motion picture industry you must live in Los Angele's. And for high fashion magazine work a move to New York is a must. 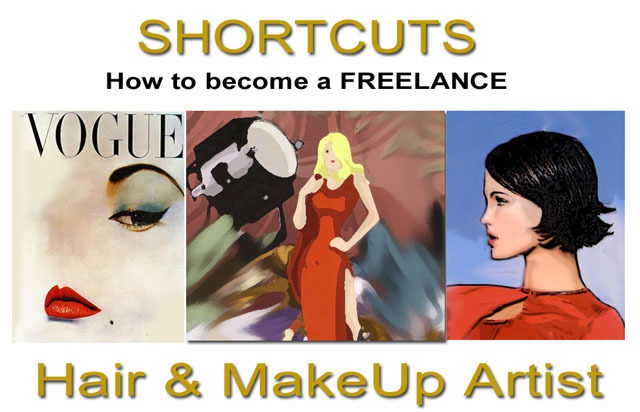 If you’ve dreamed of becoming a big time fashion or motion picture makeup / hair stylist or both you’ll learn what it takes to get started and succeed in these exciting beauty fields. It takes a lot of persistence and patience to succeed and the competition is fierce. 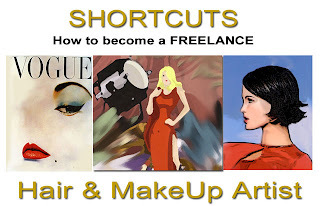 These two industries are all about connections and SHORTCUTS includes a national directory for hair and makeup agency, agents, magazines editors, television, special effects makeup schools and motion pictures union contacts making Shortcuts well worth the $45 price tag.